A painfully shy Englishman named Charlie takes a room at Betty Meeks Fishing Lodge and pretends he can't speak a word of English to avoid his pathological fear of social interactions. This new role as 'foreigner' makes him the unwitting confidante for the other residents and visitors when Charlie overhears more than he is meant to, with hilarious results! Charlie finds himself in predicaments that are sidesplittingly funny, but which also give us food for thought, as they remind us that our all-too-human foibles, follies, and frailties can make us endearing as well as initiate inspiring personal transformations. 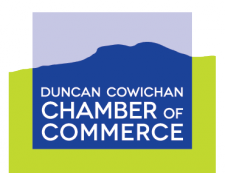 M-F 9:00 A.M. - 5:00 P.M.
© Copyright 2019 Duncan Cowichan Chamber of Commerce. All Rights Reserved. Site provided by GrowthZone - powered by ChamberMaster software.